In this article we discuss Java Swing as used for "Graphics programming in Java". We discuss the basic classes of Swing, why we use it, its advantages and a comparison with AWT. It is a Java Graphical User Interface (GUI) toolkit. It is an Application Programming Interface (API) for providing a Graphical User Interface (GUI) for Java programs. 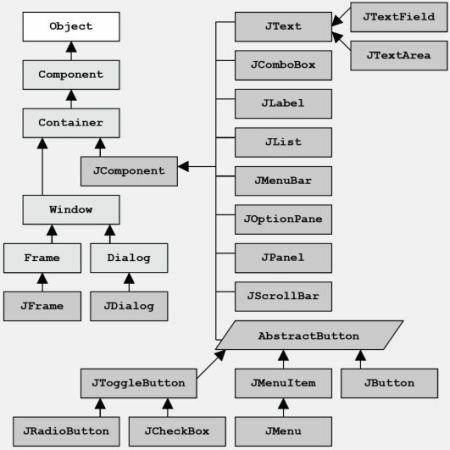 It is a part of the JFC (Java Foundation Classes), that is an API for providing a graphical user interface for Java programs. 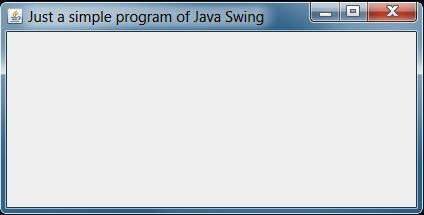 It is used to create a GUI with Java. It is an update GUI toolkit. It adds various components to our window frame like lables, buttons, scrollbars, tables and trees. In this program we make a simple window without any extra features or functionality. Swing components are plateform independent. Swing components can use a different look and feel. Swing components use the Model-View-Controller paradigm (MVC), and thus can provide a much more flexible UI. Swing components are lightweight (are less resource intensive than AWT). Swing provides built-in double buffering. it can be slower than AWT (all components are drawn) as if we're not careful in programming. It requires Java 1.2 or a separate JAR file. Swing components that look like native components might not act exactly like native components.